Finding solutions to problems is how TruProtect originated. 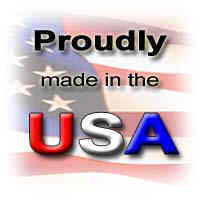 They are also the same problem solving skills that led to the development of a new product for TruProtect. Many office buildings have dropped ceilings with tiles made of mineral fiber or fiberglass. These tiles are porous, collect dust, have minimal insulation and sound proofing, and make a complete mess when installing and replacing. Surely there had to be a better product. Enter TruProtect’s new ceiling tiles to solve these problems. Each tile is the original TruProtect with an added polypropylene cover that is remarkably durable and visually appealing. Without the hassle of remodeling, an office can now add the benefits of TruProtect. Heat and cold from the attic or plenum are stopped from entering the occupied are below. It’s hard to understand how great the new TruProtect ceiling tiles are without understanding the qualities of the original product, which is the core of the ceiling tile. There are numerous products available for insulation, radiant barrier, fire protection, and mold and mildew, but now, all of these qualities can be found in one product. Insulation. 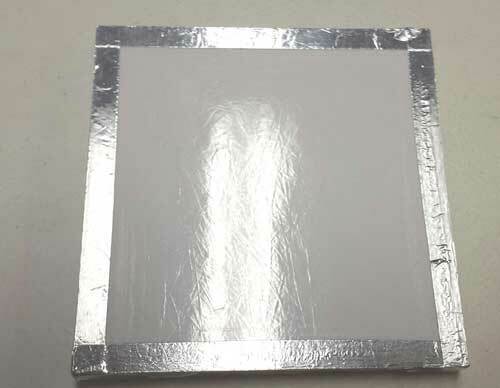 The original 1/2" thick TruProtect sheet has an R-factor of 1.61, extrapolated to 6. Radiant Barrier. Test results show that TruProtect has a 98% reflectance, meaning that only 2% of applied heat is transferred to the other side of TruProtect. With a test margin of error of +/- 2, the results indicate that TruProtect completely stops the transference of heat and cold. Fire Resistance. After testing in a tunnel with an 1860˚F flame drawn through at 125 feet per minute, TruProtect received a Class A rating for flame spread and smoke generation. Noise Reduction. 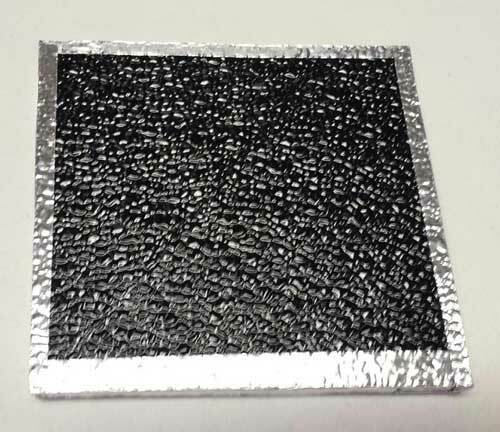 A single half-inch sheet of Tru- Protect achieved a Sound Transmission Loss (STC) rating of 19, a Noise Reduction Coefficient of .6, and a Ceiling Attenuation Class of 38. Environmentally Friendly. TruProtect watches out for the environment because it is made from 65-70% recycled materials, and buildings with TruProtect require less energy to heat and cool, saving natural resources. Installation. The original TruProtect can be installed with nails and roofing washers or simply with adhesive. No safety gear is required for the installation of TruProtect ceiling tiles. Nothing could be easier! TruProtect’s ceiling tiles combined with TruProtect panels applied to walls will keep sound in or out, depending on the need. The noise from movie sound-tracks or a loud stereo will stay in media rooms. Discussions in doctor’s offices, conference rooms, or executive suites can remain confidential. Sounds from noisy cars or machinery can be kept out of rooms. 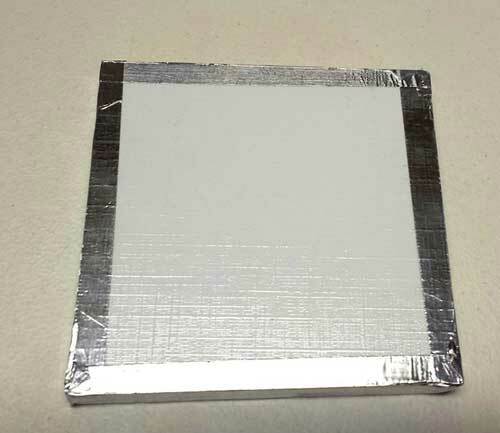 For security to block wireless communication from entering or exiting, TruProtect ceiling tiles provide an excellent solution when combined with its 4’x8’ panels in walls. 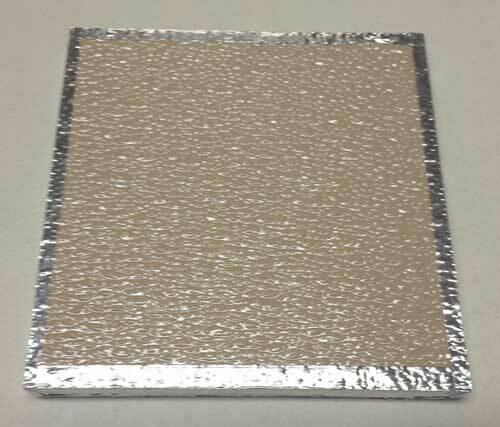 With a busting strength of 400 lb for the 1/2" and 900 lb for the 1", TruProtect’s ceiling tiles are strong and durable. No more flaking and cracking which happens with conventional tiles. 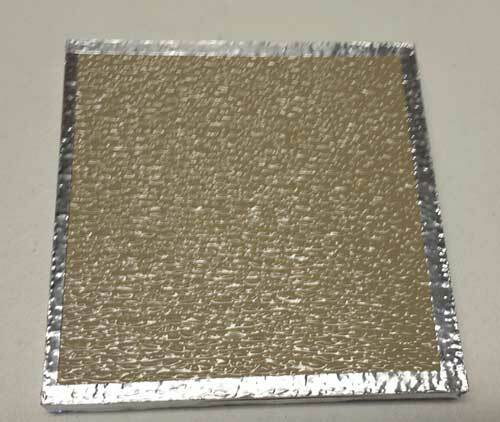 The covering for the ceiling tiles comes in an assortment of colors, ranging from bright white to black. This expansive range of choices should meet all needs. 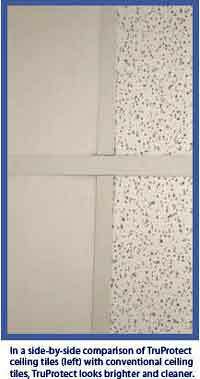 TruProtect ceiling tiles come in 2'x2' and 2'x4' width and in 1/2" or 1" inch thickness.